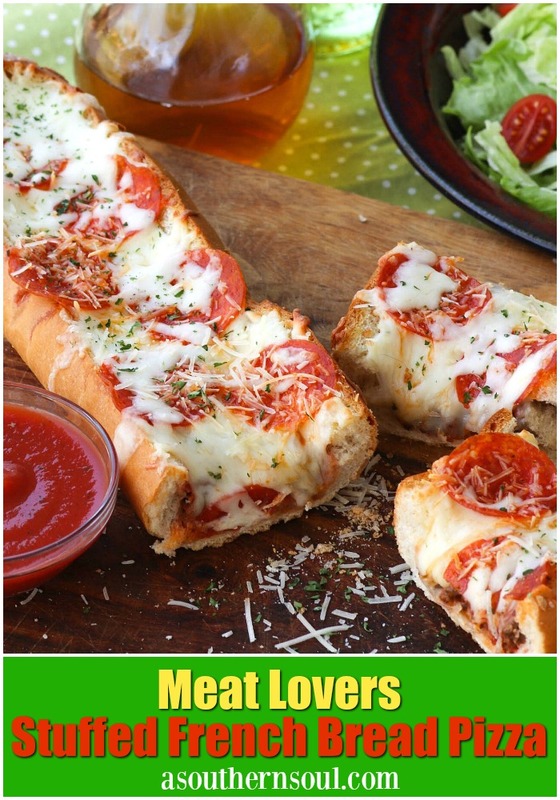 Meat Lovers Stuffed French Bread Pizza is easy to make and loaded with traditional pizza flavor. 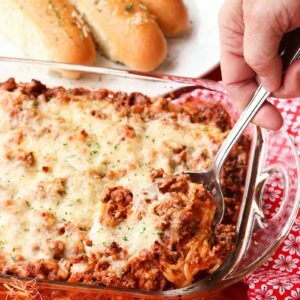 Seasoned ground beef and pepperoni along with two kinds of gooey cheese make this a recipe perfect for a weeknight meal or for game day! 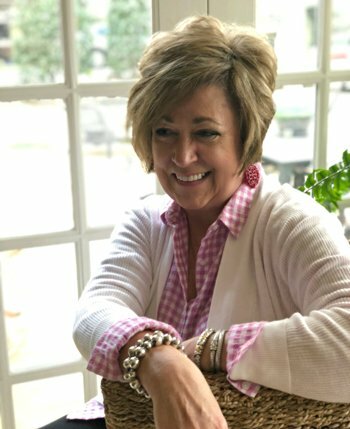 Have you ever come up with a recipe out of pure necessity? Well, I have, and this is probably my most successful, most requested one. 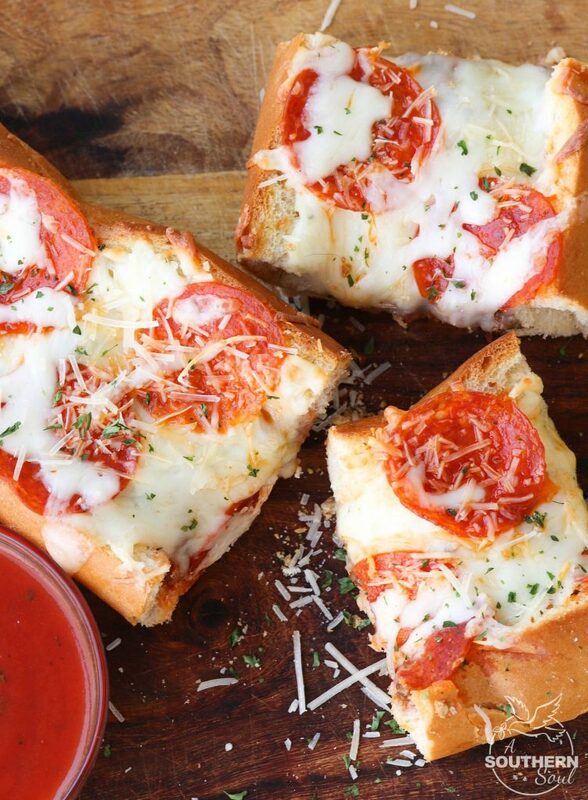 This stuffed bread pizza came to be because of a single fact, I did not want to deal with making pizza dough. 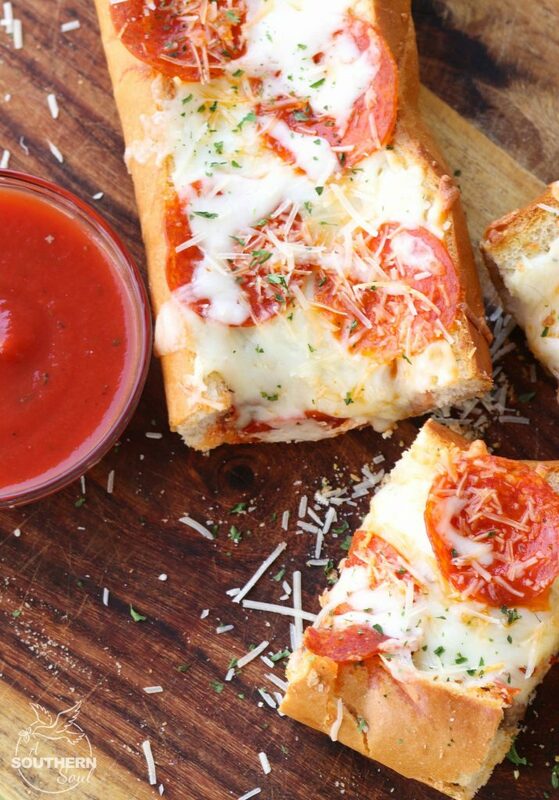 I did want pizza though and I had a hungry family to feed so, desire led me to this solution – grab some french bread and load it up with my favorite pizza toppings! 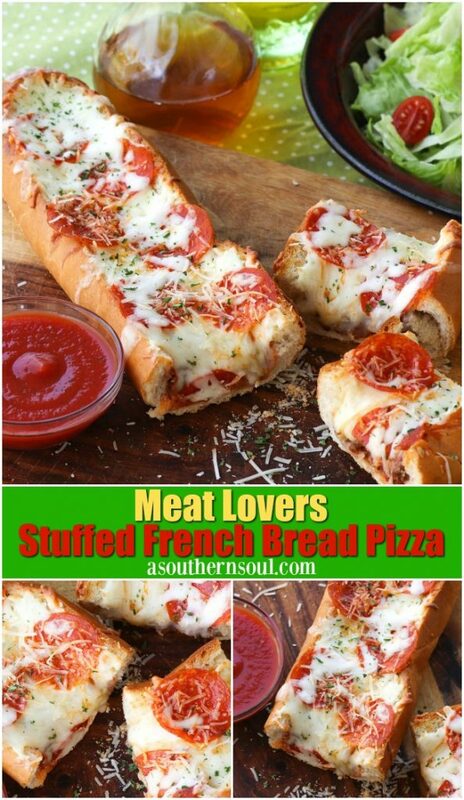 I chose to stuff my bread with seasoned ground beef, cheese and pepperoni. Picking out these ingredients was straight forward and easy since Mr. A Southern Soul believes vegetables have NO PLACE on pizza, and heaven forbid you add pineapple. I like to make this dish extra special by making a simple pizza sauce from scratch. I use canned tomato sauce then add dried basil, oregano and a little red pepper. Once the sauce is made and the ground beef is cooked then it’s time to stuff the french loaf. 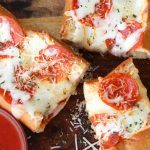 When making this recipe, I like to trim off the top of the loaf and scoop out the bread from the center, making a well for all of the meat and cheese to go. Once all the ingredients are layered on, the recipe is just about complete. Just bake, sprinkle on more cheese, slice and dig in. This is one of those recipes that proved to be a success born out of necessity! Heat oven to 350 degrees. Using a serrated knife, cut the top off bread. Pull bread out of middle of the load making a large well. Brush the inside of the bread with olive oil and toast in oven for 5 minutes. Remove from oven and set aside. While bread is toasting, add ground beef to a skillet along with basil, oregano and red pepper. Cook until meat is done. Drain and set aside. In a small pot, add tomato sauce, basil, salt, pepper and sugar. Cook on low for 5 minutes. 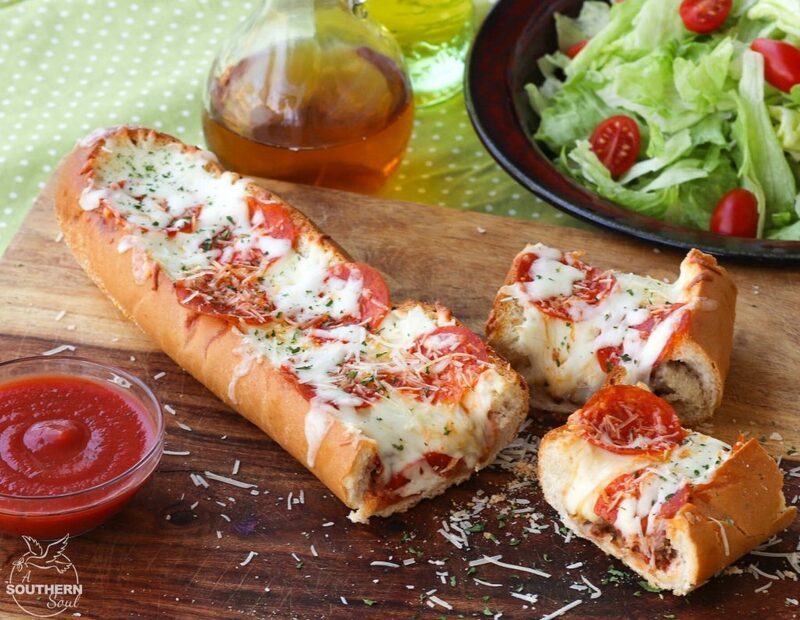 To build the pizza, add the meat in an even layer on the bottom of the french bread loaf. Pour tomato sauce over meat until covered. Extra sauce will be left over. 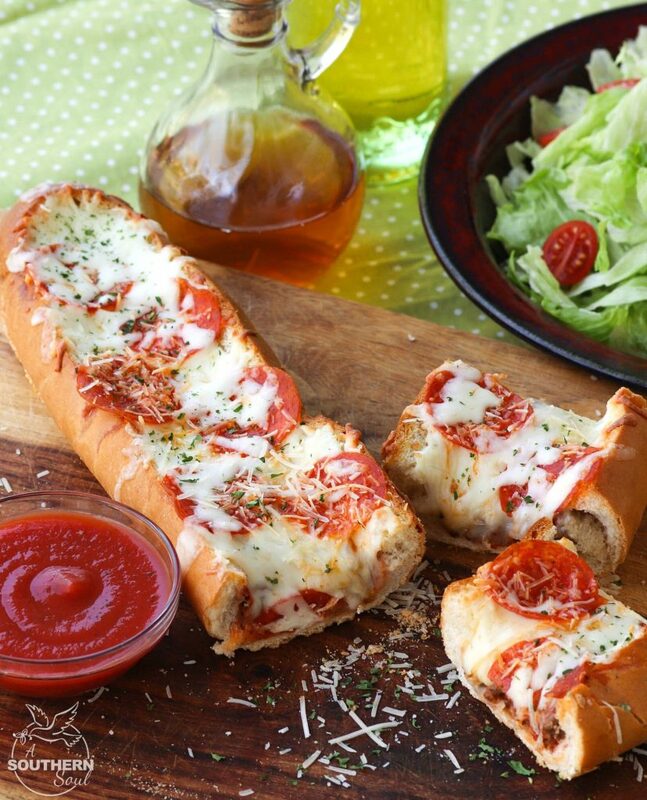 Layer on 1 cup of mozzarella cheese. 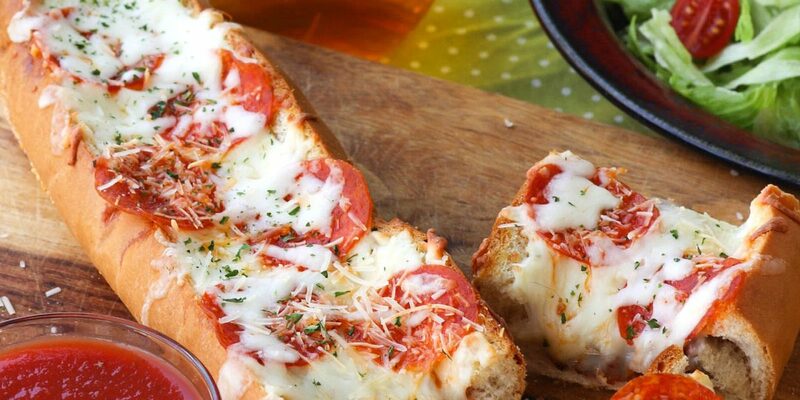 Place pepperoni slices on top of cheese. Sprinkle on remaining cheeses. Cover with foil and bake for 10 minutes. Remove foil and continue to cook for 10 more minutes until cheese is totally melted and golden. Remove from oven. Let rest for 5 minutes, slice and serve! 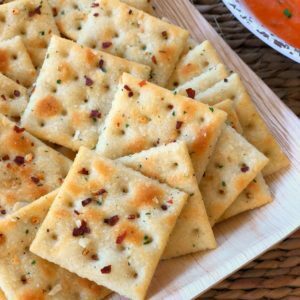 Make sure to PIN this recipe to save!